The Ecclesiological Society is for those who are interested in and enthusiastic about church history and church architecture. 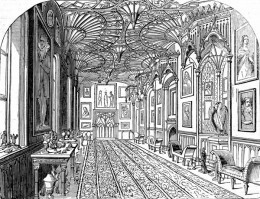 Members’ interests range over all periods and places, from the earliest churches in Britain through to the most recent developments in ecclesiastical architecture, fittings and liturgy across the world. The Society publishes a regular journal ‘Ecclesiology Today’, and a magazine style update ‘Churchcrawler’ for members. In addition there are regular online newsletters and occasionally as the need arises books are published where gaps in knowledge exist, most recently ‘Pews, Benches and Chairs: Church Seating in English Parish Churches from the Fourteenth Century to the Present’. There are regular events and lectures. We are a friendly and informal Society, sharing our interest in churches. We started life in 1879, when the Society was founded. At that time we were known as the St Paul’s Ecclesiological Society, because we originally met at St Paul’s Cathedral, London. 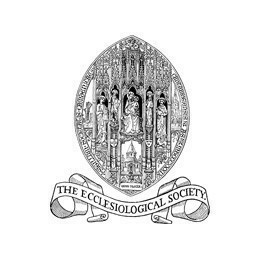 In 1937 we shortened the name to The Ecclesiological Society. Anyone who loves churches can join the Society. Many of our members have particular interests in the arts, architecture or liturgy of the Christian Church. The Society has a Council of 12 members and holds an annual AGM.